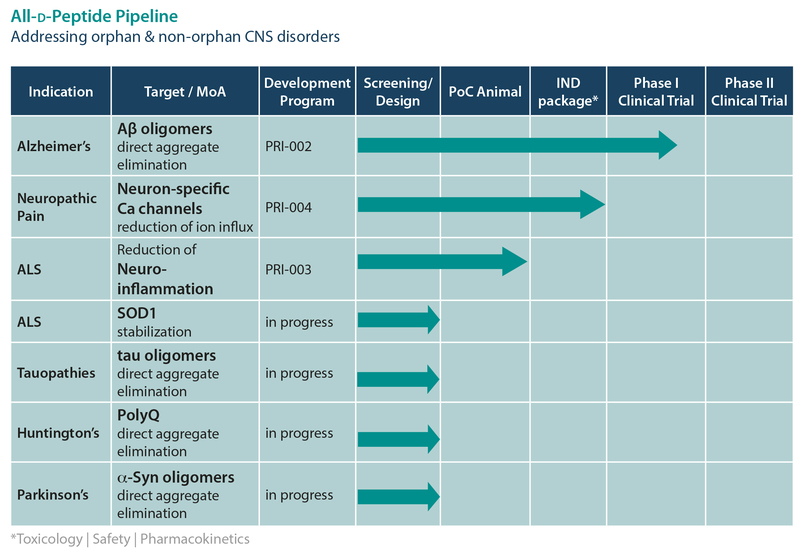 is the most advanced drug in our pipeline for the causal treatment of Alzheimer’s disease (AD). Priavoid developed a completely new therapeutic strategy for the causal treatment of Alzheimer’s disease. 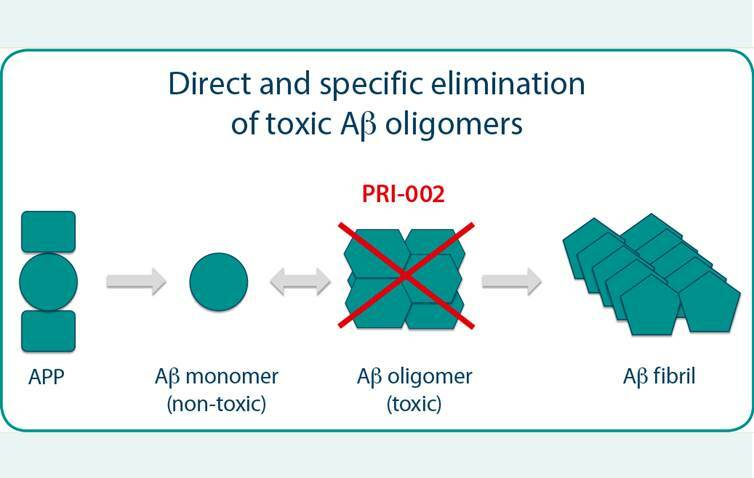 The orally available D-peptide PRI-002 permeates the blood-brain barrier effectively, does not interfere with formation or clearance of non-toxic Aß monomers, but specifically eliminates cytotoxic Aß-oligomers.